Financial Spring Cleaning – Decluttering Debt! With absolutely gorgeous weather (at least here in AZ!) and flowers blooming, it’s an effort to refrain from writing a Spring Cleaning blog. I mean why not? Everyone else is! Instead, let’s put a new shine on your Spring Cleaning approach and clean out your finances! Together, we’ll unpack unnecessary spending, dust off money saving ideas and throw away bad spending habits. It doesn’t take much for a budget to get cluttered with bills and jam packed with excessive spending, but armed with the right cleaning tools, progress can be made rather quickly. Sharpen your pencil, have your calculator ready and get your Financial Spring Cleaning game face on. 1. Track the Spending Trail – Keep track of EVERYTHING you spend money on for a week. Every pack of gum, latte or fast food lunch. The results may shock you, but being armed with this insight will allow you to make effective and necessary adjustments. Try it once and you’ll see what I mean. 2. Create or Revise Your Budget – You’ve GOT TO KNOW how much money is coming in versus what is going out to stand a chance of managing your finances with any degree of accuracy and success. We highly encourage you to take a look at the mock budget we’ve created in Declutter Now!. It’s a great tool to help you start a budget, or perhaps, improve the one you already have. 3. Step Up Your Savings – Whatever you are doing, do more! No matter how much, or little, you have to save, something is better than nothing. And as your financial situation improves, increase your savings. 4. Credit Cards – Commit to saving them for extreme emergencies and travel reservations only. If you already have cards with balances, look into balance transfer options for low or no interest rates. Then pay them off! With regard to interest, Einstein said, “He who understands it, earns it…he who doesn’t, pays it.” Who do you want to be? Make paying off credit card debt a priority. 5. Practice Intentional Spending – Don’t carry around large wads of cash and don’t use your debit for purchases that aren’t already accounted for in your budget. This is a foolproof way to curb spending. 6. Stretch the Stretchable – It’s incredibly easy nowadays to coupon. Newspapers are loaded with coupons and many can be found online. Some stores even link their coupons to your shopper’s card, so with one swipe, savings are automatic. Treat coupons like the cash they are. Do you want that money in your pocket or in the retailer’s? Oh, and when grocery shopping, DON’T SHOP HUNGRY! 7. Lunches – Skip eating out every day and pack a sack lunch. It’s generally healthier and more nutritious anyway! 8. Movies – A movie in with the fam can be so much more relaxing and fun, never mind WAY CHEAPER! AND you can hit the pause button! 9. Books – Love to read? Have you been to your local library lately? If not, time to go! 10. Plan, Plan, Plan – If you’re married, have a set dollar limit that each of you are allowed to spend without consulting the other. Anything above and beyond that amount must be discussed first. For larger purchases, have a predetermined ‘waiting period’ to avoid impulse spending. Lastly, check out the book review we did on MORE MONEY in Tough Times: Discover the $10,000 You Never Knew You Had by clicking here. Tom & Lindy Schneider are the Money Archaeologists and you are going to love this book! What are the consequences if you don’t turn things around? Piles of debt and loads of stress which create fewer choices and less joy. YUCK! Are you ready to roll up your sleeves and get down to some deep cleaning? 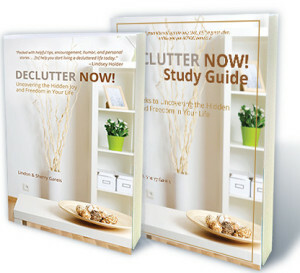 It’s time for a fresh, sparkling clean, totally decluttered budget and polished financial plan. Overwhelmed? Stuck? Contact us for information about our Life Coaching Ministry by emailing us at lifecoaching@actionplanministries.com. We can help! This entry was posted in Inspirational, Self-help, Uncategorized and tagged budget, clean, coupon, coupons, credit cards, declutter, dust, finances, financial, money, polish, spring cleaning, uncover. Bookmark the permalink.